Omega-3 fats cannot be synthesised by humans, but must be obtained from the diet. Research shows that the omega-3 intake of those people living in developed countries is too low. A number of diseases have been reported to result from this low intake of omega-3 fatty acids. In particular, the low levels of omega-3 fats in combination with the high levels of omega-6 fats can cause inflammation, and this may lead to the development of insulin resistance, metabolic syndrome, obesity, cardiovascular disease and type 2 diabetes. Omega-3 fats are also needed for correct brain development and low levels may negatively affect eyesight. Current recommendations are therefore to consume more omega-3 fatty acids. The omega-3 fatty acid alpha-linolenic acid (ALA) is present in green leafy vegetables and nuts and seeds. However, this form of omega-3 fat might not be efficiently utilised by many individuals due to genetic enzyme deficiencies. As a result more metabolically active forms of omega-3 fats have become popular as research shows they may have greater biological effects. Certain cold water fish, krill and microalgae contain the omega-3 fats docosahexaenoic acid (DHA) and eicosapentaenoic acid (EPA) and these can be utilised instead of ALA to obtain adequate omega-3 fats. However, for some, ALA is a viable option and the foods containing it should still be part of a healthy diet. Supplements of plant based ALA such as from flax oil are available. 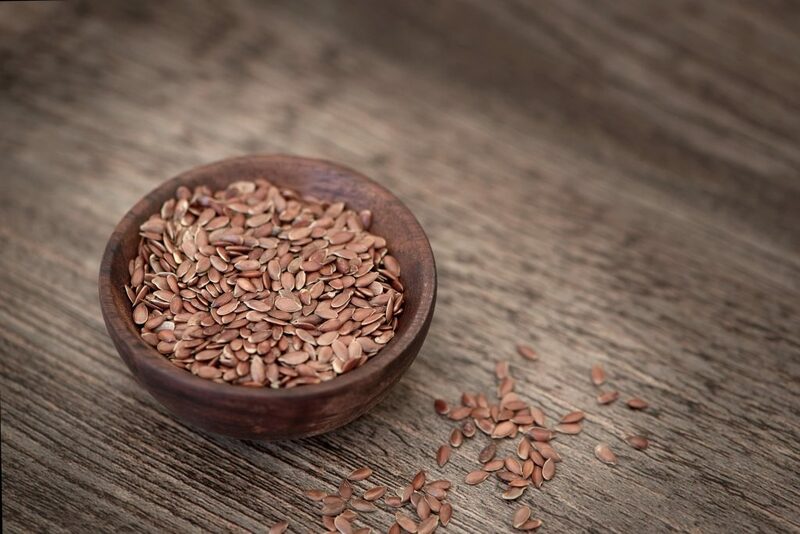 Flax seeds are a rich source of the omega-3 fatty acid alpha linolenic acid. Some individuals cannot effectively metabolise this source of omega-3 fat in high amounts and so for some alternative dietary sources may be necessary. However, flax seeds are cheap and generally lower in environmental pollutants compared to animal sources of omega-3 fats. 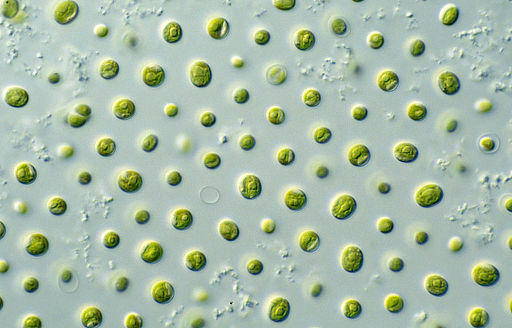 Algae can synthesise DHA and EPA. Until recently the commercially available microalgae only contained only DHA as species producing EPA tend to grown more slowly. However more recently algae such as Schizochytrium sp. have been used commercially and these contain both EPA and DHA. Algae are plants and so the DHA and EPA they contain can be consumed by vegetarians and vegans. This makes them unique in their marketing potential as both krill and fish are not be suitable for vegetarians or vegans. Supplements of algae containing only DHA may have different metabolic effects compared to fish oils that contain both EPA and DHA. The microalgae used in supplements are grown in strictly controlled conditions in tanks and so they are free from environmental pollutants. This makes them not only a superior source of their omega-3 fats but also makes them superior from a sustainability perspective. Algae also produce antioxidants such as phlorotannins and these polyphenolic chemicals may contribute to the health effects of algal DHA oil. Omega-3 fats are available from cold water fish. Cold water fish such as tuna, salmon, mackerel, sardines (pilchards) and trout contain high concentrations of both EPA and DHA in their tissues. In fact, cold water fish get their omega-3 fats by eating the algae that manufacture them. As fish are higher up the food chain than algae and krill, they may have a greater capacity to bioaccumulate environmental pollutants. In response to the higher levels of some pollutants in fish, some manufacturers filter and treat their fish oils to purify them. Some manufacturers also add antioxidants to protect the omega-3 fats from rancidity. Fish oils can be extracted and are available in capsules. 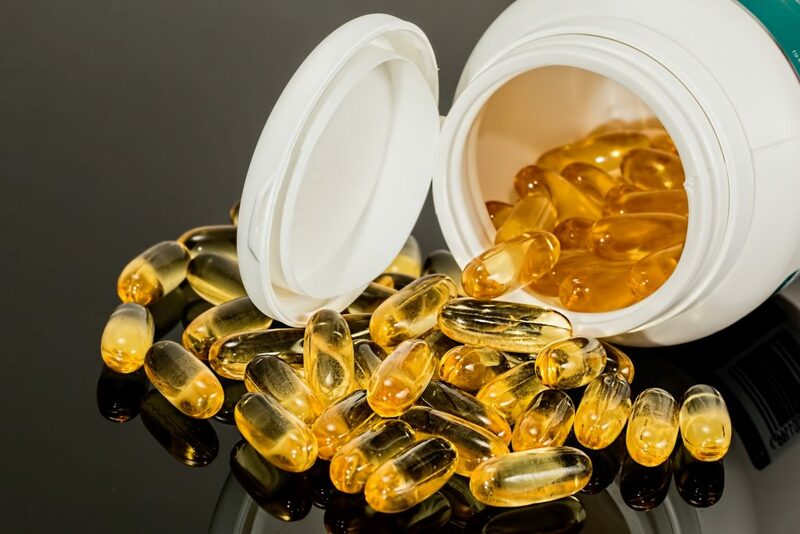 High quality fish oils tend to be filtered and contain antioxidants such as vitamin E. The presence of the antioxidant protects the oils from rancidity. Of all the sources of omega-3 fatty acids, fish oils have by far the largest body of research showing their health effects. This does not mean that they are the best source of omega-3 fats, but in terms of cost and proven effects they are still the cheapest and most proven form of supplements. In comparisons with other forms of omega-3 fats, fish oils consistently show cardioprotective health benefits. 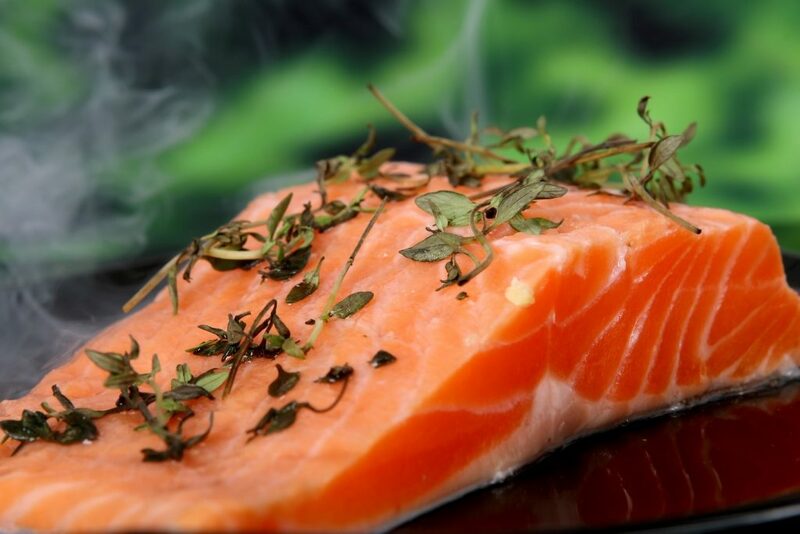 Eating cold water fish such as salmon is an efficient way to obtain high intakes of omega-3 fatty acids. Fish is rich in the omega-3 fatty acids docosahexaenoic acid and eicosapentaenoic acid. What about consuming krill oil? Krill obtain their omega-3 fats the same way as cold water fish. They consume the microalgae that manufacture the omega-3 fats and it accumulates in their tissues. As krill are generally further up the food chain compared to microalgae, they tend to bioaccumulate environmental pollutants. Most commercially available krill oil is from wild krill such as Euphausia superba. As these organisms are wild, they are just as exposed to environmental pollutants as fish. Concerns have been raised over the use of krill for their oil as harvesting krill it may disrupt other marine life. The omega-3 fats in krill oil is said to be more bioavailable compared to fish oil. This relates to the fact that in krill oil the omega-3 fats are present mainly as phospholipids, whereas in fish the omega-3 fats are present mainly as triglycerides. However, this is a contentious point and further research needs to be done to verify this. Krill contain the same phlorotannins as microalgae because they consume the algae. However, krill also contain high concentrations of the carotenoid astaxanthin. This may provide significant antioxidant protection to the consumer and may protect some of the delicate long chain fatty acids from rancidity. Generally people consume too much omega-6 fat. This sort of fat is present in vegetable oils such as corn oil, rapeseed oil, sunflower oil and vegetable spreads made from these oils. As well as consuming more omega-3 fatty acids, it is also recommended that fewer omega-6 fats are consumed. The correct ratio for omega-6 to omega-3 fat should be somewhere about 3 to 1. So for every 3 grams of omega-3 fat, 1 gram of omega-3 fat should be consumed. Vegetable and plant sources of omega-3 fats are the least polluted. Vegetarians and vegans have no choice but to obtain their omega-3 fats from these sources. Therefore green leafy vegetables, nuts and seeds or supplements of algal oils are the only option for vegetarians and vegans. Non-vegetarians can obtain their omega-3 oils from the same source as vegetarians, or can utilise cold water fish, supplements of fish oils or krill oils. Those allergic to crustaceans should avoid krill oils. The best fish oil supplements will be filtered and treated to remove pollutants and have additional antioxidants added. Eating fish may provide additional nutrients not obtained from just the oil. For most the best source of omega-3 fats is likely eating whole cold water fish such as tuna, sardines, mackerel or trout 3 times a week along with green leafy vegetables and nuts and seeds. Supplements should be used primarily to top up omega-3 fats if required and after dietary source have been utilised to the maximum. Algal source omega-3 fats and vegetables, nut and seeds are the best way to obtain omega-3 fat if the environmental ramifications are a concern. This entry was posted in Algal DHA, Docosahexaenoic Acid, Eicosapentaenoic Acid, Fish, Fish Oils, Flax Oil, Krill EPA and DHA. Bookmark the permalink.